If the WWW were a startup, it would be worth many times what Facebook is worth, trillions of dollars. But it's not, which is why we are all still able to use it without it being manipulated against us. The WWW is the only piece of software left standing that is about freedom of information and knowledge for all, unperverted by money and power. This is the founding story, as told by the man who did it. In 1989 while working for European Organization for Nuclear Research (more of a hub for all research science) he wrote up a proposal for his project as a documentation system and not a single person cared. Here is that pitch: https://www.w3.org/History/1989/proposal.html. It is indecipherable, unrecognizable, it makes no sense at all to me even today. On showing people his work: "Some people were intrigued, but many never accepted my argument. Rather than enter useless debate, I simply forged ahead and showed the web as much as possible." He submitted at Hypertext Conference 1991 and was rejected. "At the same conference two years later, every single project on display would have something to do with the Web." Netscape IPO was for 3 billion dollars (in 1995! ), sixteen months after the company was founded, based 100% on TBL's work and TBL didn't see a dime. 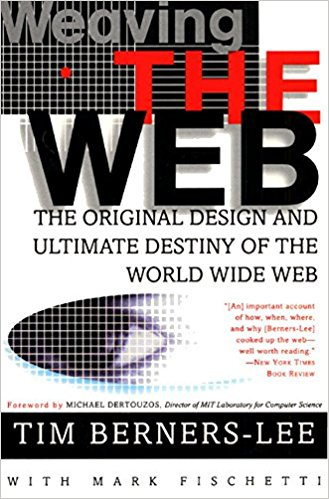 In Feb 1995, the web is being discussed at the G7 annual meeting of the world's seven wealthiest nations. Then come the browser wars, the Microsoft anti-trust lawsuit, the privacy concerns, and now the tech titans eroding the web's goals. Software is no longer being used for good, but to promote centralized power, to increase and accelerate the growing power asymmetry between business and consumer by stealing control of our data, against our will and without our blessing. For example, Facebook changed the balance of power by making it dead-simple for a regular person to make, essentially, nice personal websites to share stuff. People want to share stuff digitally because it has a lot of advantages over the physical world, but to make a website you have to be a programmer. Facebook made it simple enough for everyone. This is how Facebook got started and came to have power over us. Notably, Facebook did this on accident. Mr Zuckerburg's leaked IM transcripts from when he was 20, show he had absolutely no idea what he was building, what it would evolve to be. Facebook was not designed, it evolved, which is why it was so easily caputured by venture capitalist interests. TBL has been leading efforts to make a web of data for 20 years, but nothing has stuck, because the power forces are too strong. Karl and my startup Hyperfiddle is working on this problem. We think we know how to harness simple market forces to change the fundamental balance of things.